Once you’ve found the perfect fit for your eyewear, it's time to play around with color! Here's a guide on how to understand your skin's undertone, and which colors will complement you. Have you ever seen a shirt that you really like and can’t decide between the three color options, but then, when you hold them each up to your face, it’s much easier to tell which color makes you pop and which one washes you out? This phenomenon is due to the undertone of your skin. If you’ve ever heard the terms “warm tone” or “cool tone” in the beauty or fashion world, they’re referring to the undertone of your skin color, opposed to the surface tone. Your surface tone is much easier to identify - you likely know if you have ivory, light, olive, tan or dark skin. 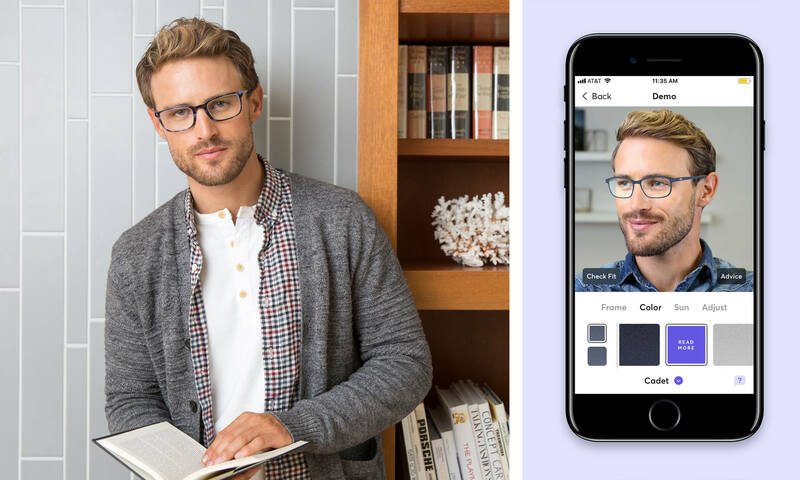 Once you’ve found the perfect fit for your eyewear, the next step is to choose the right color for you. Here, we’ll go into how to identify which undertone your skin is, plus which colors go best with each. Roll up your sleeves and take a look at the veins on the inside of your wrist (in natural lighting). Do they look blue or green? If they appear more blue or almost purple, you’re likely cool-toned. If they appear more green, you’re likely warm-toned. If you can’t quite distinguish if they are more blue than green, it’s likely that you lean toward neutral-toned. Think back to your middle school art class where you learned the color wheel and this will all make perfect sense! Your veins aren’t actually green or purple -- they just appear that way based on the tone of your skin that you’re seeing them through. For example, yellow tone + blue veins = green appearance, or red tone + blue veins = purple appearance. Take out your favorite jewelry. Does silver or gold jewelry glow and pop more? Generally, if you look better in silver or platinum metal, you’re cool-toned, while gold means you’re warm-toned. If both look equally good on you, you’re neutral-toned. Contrary to popular belief, not all Asians have warm-toned skin. Lucy Liu has cool undertones and silver jewelry really pops against her skin. On the other hand, Jessica Alba has warm undertones that are complimented by her gold jewelry and honey brown glasses. 3. What are your eye and hair colors? If the gold/silver metal test was inconclusive with your skin tone, the next best place to look is your natural hair and eye colors. Have blue, green, or grey eyes with blonde, brown, or black hair? You have cool-toned skin. Have amber, brown, or hazel eyes with strawberry blonde, red, brown or black hair? You have warm-toned skin. That one (or multiple…) time you forgot to wear sunscreen outside, did your skin turn golden-brown, or did it burn and turn pink first? If you burn easily, it’s likely that you have cool-toned skin. If you get an envious golden tan, you likely have warm-toned skin. 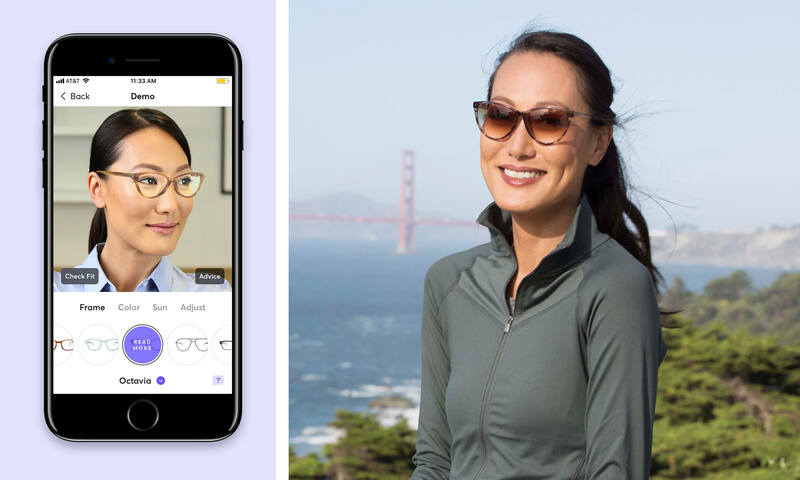 Now that you know if you have cool-toned, neutral, or warm-toned skin, let’s figure out which glasses colors will look best on you. If you have warm-toned skin, you should learn toward warm reds, yellows, oranges, browns, yellow-greens and ivory. Ashley has warm-toned skin and looks great in warm browns and yellows. If you have cool-toned skin, you should learn toward blue-based reds, blues, greens, pinks, purples, blue-greens and magentas. Parker has cool-toned skin and looks great in blues. If you have neutral-toned skin, you can pull off pretty much any color! The easiest way to understand what colors look best of n your face is to virtually try on as many colors as you can! 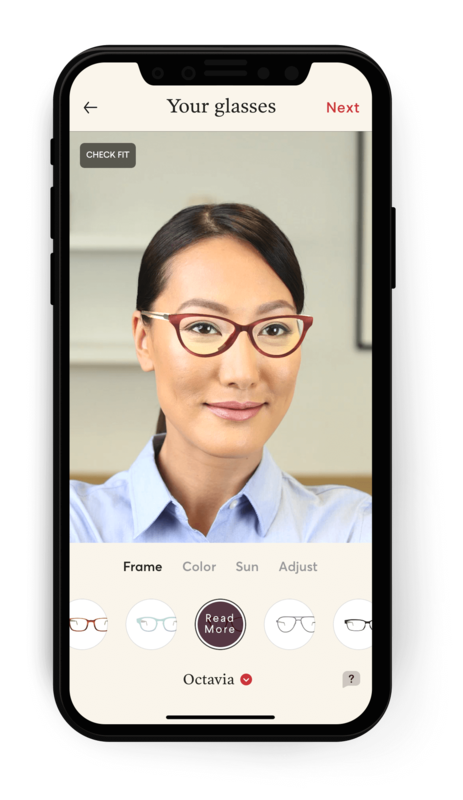 When you download the Topology Eyewear app, you can take a video selfie which allows you to try on different shapes and colors in real time. As you flip through the colors, we'll bet that you quickly catch on to which colors look best against your skin tone and facial features. Download the iOS App now to get started!